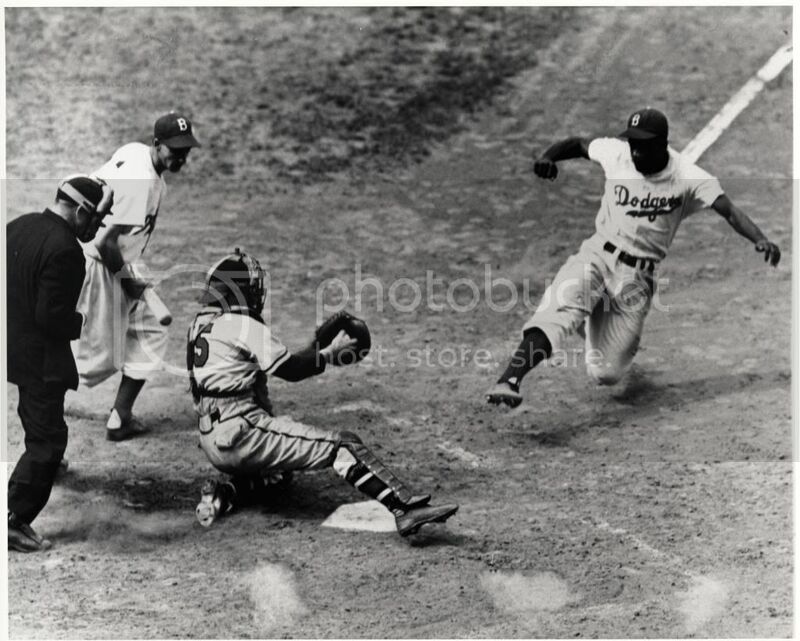 Jackie Robinson was known for his courageous style of play including how he often stole home to score. Since April 3rd, we have learned of the efforts of students at Wilcox County High School in Wilcox County, Georgia to host the first integrated prom in the county’s history. These students are courageously leading their community into a new era of respect for one another and their bravery in doing so is admirable. Their story reminded me of another great story of leadership in breaking barriers of race: the story of Jackie Robinson. 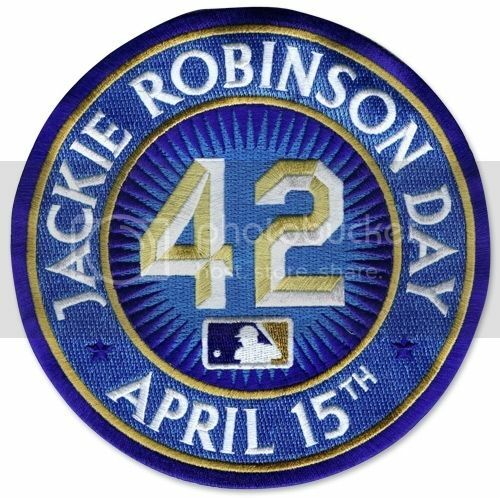 Today is Jackie Robinson day in Major League Baseball. If you tune in to watch any MLB game tonight (the Braves normally participate but they have the night off) you will find that all of the players are wearing number 42 on their jerseys to honor the first African-American to play Major League Baseball. On April 15, 1947, Jackie Robinson took the field for the Brooklyn Dodgers for the first time and officially broke the color barrier in America’s National Pastime. His integration of baseball was the first of many integrations to take place throughout the Civil Rights Movement. During the Legislative Session, Spencer was involved in the “Black History Moment of the Day” that centered on Jackie Robinson’s integration of baseball. You can check out more about that moment in a previous post here. This year’s Jackie Robinson Day is particularly important because of the release of the film “42” that tells the story of Robinson’s integration of baseball to a generation of young people who aren’t as familiar with Civil Rights history. It details the grotesque ways in which he was treated and how he persevered to have a tremendous baseball career. The film was released last Friday and is currently in theaters. Robinson’s widow, Rachel Robinson, was on Meet the Press this Sunday to discuss Robinson’s persistence in his efforts. She continues working today through the Jackie Robinson Foundation that provides college scholarships to minority students. The work of the students in Wilcox County reminds us that not all barriers have been broken and reminds us of the courage of Civil Rights leaders like Robinson, Martin Luther King Jr., and countless others who helped to break down barriers within their own communities. Our state and our nation owe a great debt to their courage. Thank you and have a great week! This afternoon we learned that there was an explosion at the Boston Marathon. Our thoughts and prayers are with those who passed away or were injured as well as the first responders who are reporting on the scene this afternoon.